The Witcher 3’s first paid for expansion, Hearts of Stone, has a simple but powerful message at its very core – be careful what you wish for, it might just haunt you for the rest of your life. 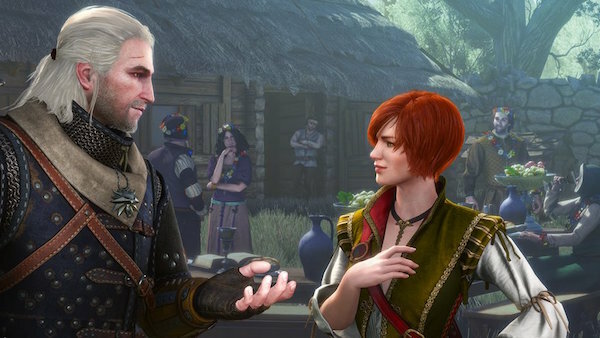 he Witcher 3’s first paid for expansion, Hearts of Stone, has a simple but powerful message at its very core – be careful what you wish for, it might just haunt you for the rest of your life. Sure, you might have 70 or more hours already invested in CD Projekt Red’s wonderful Witcher 3 AND you might also have 30 hours worth of content in unfollowed side quests yet to explore. But, there’s nothing like a well focused expansion pack to draw your focus back into a game you’ve likely just thought you were done with – I know for one I had literally hung up my silver sword and put Roach out to pasture a mere three days before this expansion hit. So what of the premise behind the Hearts of Stone expansion? What starts out as a simple monster slaying job for Geralt turns nasty when the requestor, one Olgierd von Everec, advertises a job. He charges you with the task of killing a giant frog that has been dwelling in the sewers of Oxenfurt. Simple enough you think, but as you cut the beast down all turns sour as you collapse, stunned by the putrid venom of the frog. As you blink out of consciousness several unknown soldiers swarm the sewer screaming and shouting. Turns out that hapless frog was in actual fact a cursed prince and that gaggle of soldiers had been sent to break the curse and return with their lost prince. Needless to say Geralt is in deep Griffin-poop! Locked in the hold of a ship you make a bargain with a mysterious character, one you met briefly earlier in the main game, know as Gaunter O’Dimm. This seemingly well placed individual offers to spring Geralt from his cell in exchange for his help in fulfilling a bargain he has with Olgierd. Keen to be free of your cell onboard a boat to see the fallen prince’s family and relishing a chance to have a quiet word (aka get stabby) with the man who set you up Geralt readily agrees. Hearts of Stone then opens up a handful of new locations within familiar territories North of Novigrad. These locations are fun to explore but add little to the already huge number of locations on offer. There are a few new fauna to look out for and the introduction of Runeword and Glyphwords. These offer unique buffs and stat altering changes that can ultimately let you craft a unique attack style. It’s a nice addition and one that would appeal most to those taking a deeper dive on the RPG side of the game. I managed the entire expansion first time through without any real need to touch them. You’ll need a Level 30+ character to start the Hearts of Stone expansion. 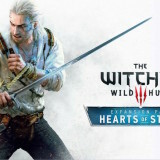 Never fear if you’ve not got that far yet, or been victim to some of the save game eating bugs over that past few months CD Projekt Red have your back with a custom made Level 32 character. I thankfully had a level 35 character which I’d managed to breeze through the main game with. Moving over to the Hearts of Stone expansion suddenly saw a jump in the difficulty and level of even the simplest creatures – I almost got taken out by my first gaggle of Level 30 Drowners! The expansion pretty much looks and plays as you’d expect an expansion would. Visuals are still stunning for an open world title and even the smallest of skirmishes are good fun. There’s a lot to be said about this being “more Witcher 3”. Some might find it a bore that this is basically a similar slice of questing akin to the many quests found in the main game. Heck, as mentioned above, you likely have scores of quests left undone – I know I have! Yet it’s the intriguing story behind Olgierd’s actions and how he’s linked to O’Dimm that push this package forward. There are also some very outlandish scenes that stray from anything really seen so far in The Witcher 3 that help explore Geralt as a character as well as play things up for laughs… yes laughs! This is more The Witcher 3. If that appeals to you then you’re going to love this expansion. If you’ve become swamped after finishing the main title then there’s little you ‘must see’ here to pull you back from saturation point. That’s a shame as there are so many great scenes and characters in this expansion. 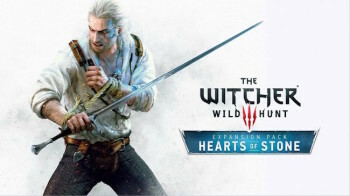 Definitely one for the fans, The Witcher 3: Hearts of Stone, tells an interesting tale as well as introduces us to some wonderful new characters. Adding about 12’ish more hours of play is a pretty worthy exchange for the relatively low cost of the expansion. Never feeling like “just DLC”, Hearts of Stone offers a solid side quests worth of activity for your hard earned Orens. The struggle here is that in a game so full of content, much still undone, will people pay for more of the same? Thankfully this offers a more indepth and crafter experience than your average set of side quests and there’s very little not to recommend this to all.